Last week, more than 500 people reportedly gathered in the Honduran town of San Pedro Sula in order to form a new caravan and reach the US. President Trump has repeatedly voiced concerns over flows of migrants entering his country through Mexico, insisting that a defensive wall should be built on the border to stop criminals from reaching the US. 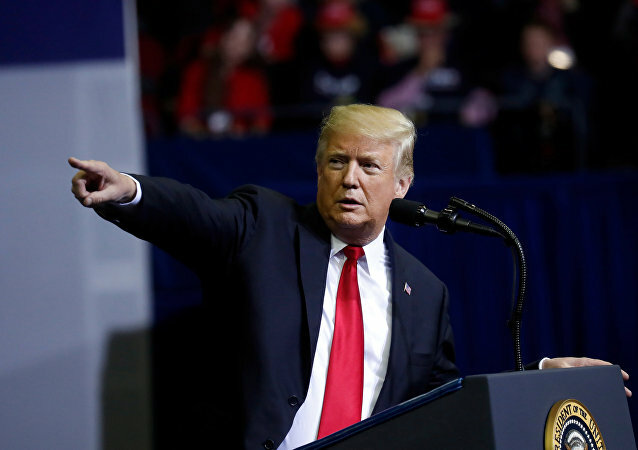 WASHINGTON (Sputnik) - The Democrats who control the House of Representatives are refusing to take necessary action to reform US immigration laws to end the national emergency on the US-Mexico border, US President Donald Trump said in a statement on Thursday. Miguel Riquelme, the Governor of Coahuila, a Mexican state near the US border, told local newspapers that he will not allow more migrants to travel through the area. 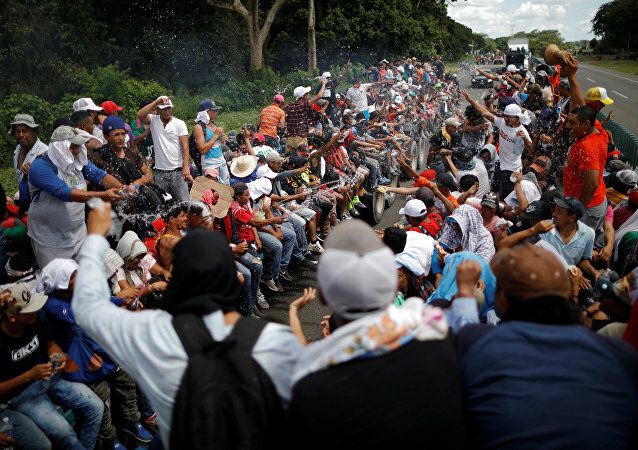 MOSCOW (Sputnik) - Hundreds of Honduran asylum-seekers set off from the northern city of San Pedro Sula on Monday in the direction of the United States, forming yet another migrant caravan, determined to reach the US-Mexican border, Hondudiario.com reported. Despite increased security at border crossing points, the 19-year-old mother-to-be managed to climb over the US-Mexico wall, but ended up under border agents’ scrutiny after she delivered a son at a local hospital. US Host Tomi Lahren previously caused a storm of reaction online after she shared that the view of tear gas being fired at hordes of migrants at the US-Mexican border, including children, was the “highlight” of her Thanksgiving vacation. 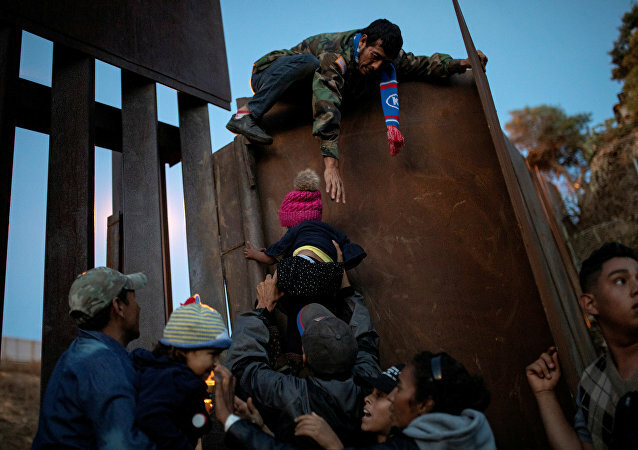 Earlier, Tijuana Mayor Juan Manuel Gastelum described the migrant caravan as a "humanitarian crisis," saying that due to the caravan's arrival he could be forced to raise taxes for the city's 1.7 million residents who have already suffered from recent clashes on the US border. Mexican Foreign Minister Luis Videgaray said on Wednesday that his country has repeatedly refused US requests to force Central American migrants to seek asylum in Mexico, claiming the caravan has a right to seek asylum in the US. MOSCOW (Sputnik) – US State Secretary Mike Pompeo expressed hope to cooperate with the incoming government of Mexico on stimulating job creation in the region amid Central American migrant caravans moving through the Mexican territory in the direction of the United States. The Mexican border city of Tijuana is seeing major rallies involving hundreds of locals protesting against the arrival of a caravan with nearly 3,000 Central American migrants. Sputnik discussed the issue with Matthew Tragesser, a communications specialist at the Federation For American Immigration Reform (FAIR). MEXICO CITY (Sputnik) - The presence of migrants marching in a caravan traveling from Central America to the United States can already be felt in their temporary location, the Magdalena Mixhuca Sports City in eastern Mexico City. 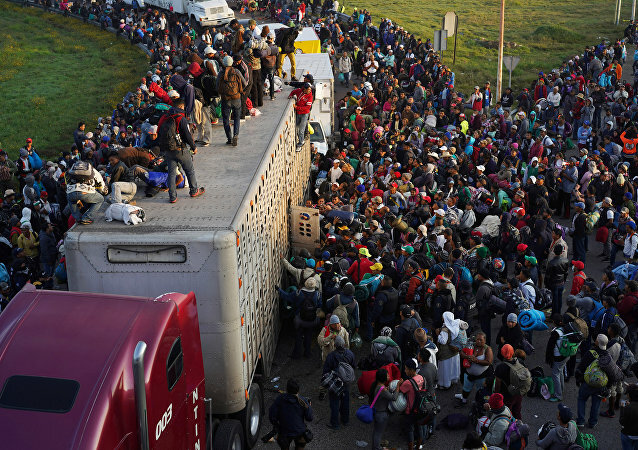 A massive migrant caravan has rushed across the Mexican border and is now moving towards the US, despite President Donald Trump vowing to prevent them from entering the country. 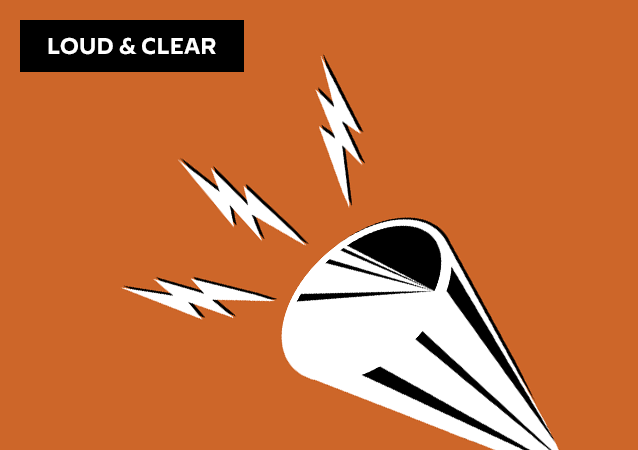 On today's episode of Loud & Clear, Brian Becker and John Kiriakou are joined by Juan José Gutiérrez, the executive director of the Full Rights for Immigrants Coalition, and Isabel Garcia, co-founder of Coalición de Derechos Humanos. US President Donald Trump stated that "illegal caravans" will not be allowed into the country, even though anyone is eligible to apply for asylum at valid ports of entry under current law. On Wednesday, US White House press secretary Sarah Sanders praised Mexico for taking “unprecedented” steps to slow down the caravan of Central American migrants making its way toward the southern US border. US President Donald Trump indicated Monday he’d like to eliminate birthright citizenship in the US, claiming he could do it via executive order. Congressman Paul Ryan, who leads the House of Representatives, pushed back, though, saying it required amending the US Constitution. During a Monday interview, US President Donald Trump said the US administration is planning to “build tent cities” for would-be immigrants from the migrant caravan currently traversing Mexico, en route from Central America. The US Department of Defense (DoD) is sending 5,200 active-duty troops, some of whom will be armed, to the US border with Mexico in an effort to bolster security ahead of the arrival of a caravan of what is estimated as a few thousand migrants, mostly from Honduras, seeking asylum. 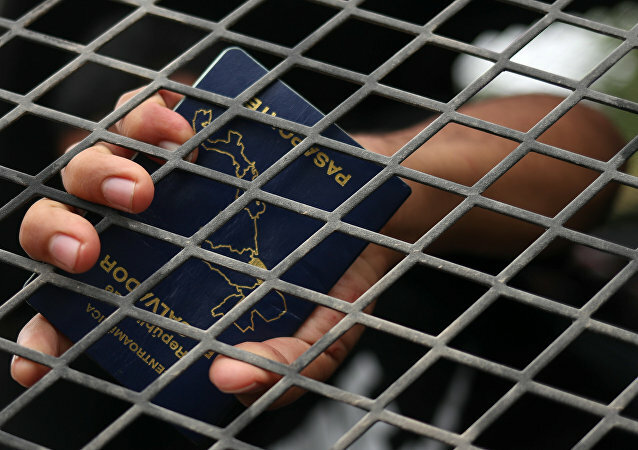 The Trump-led crackdown on illegal immigrants crossing the US border has drawn much criticism from the American left. 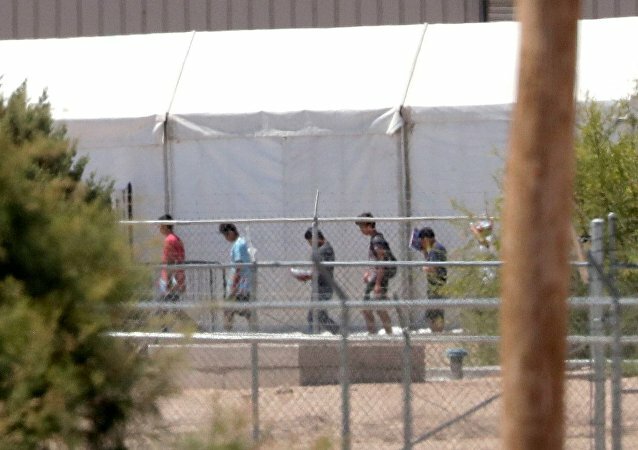 This summer, news about the separation of migrant families made national headlines, forcing the president to end the practice with a special executive order. 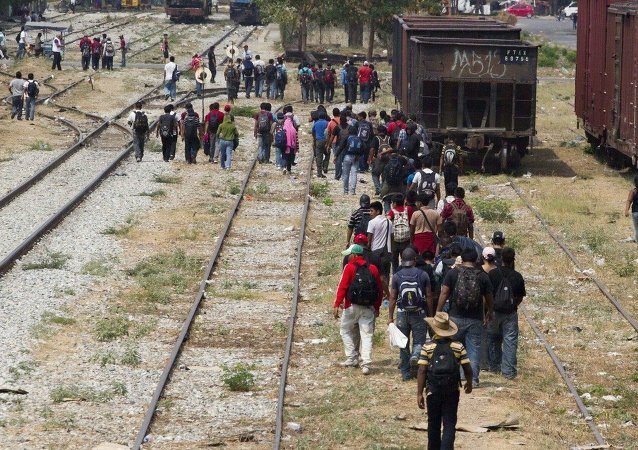 The Department of Homeland Security has confirmed that there are an array of criminals in the migrant caravan moving from Honduras to the US southern border. 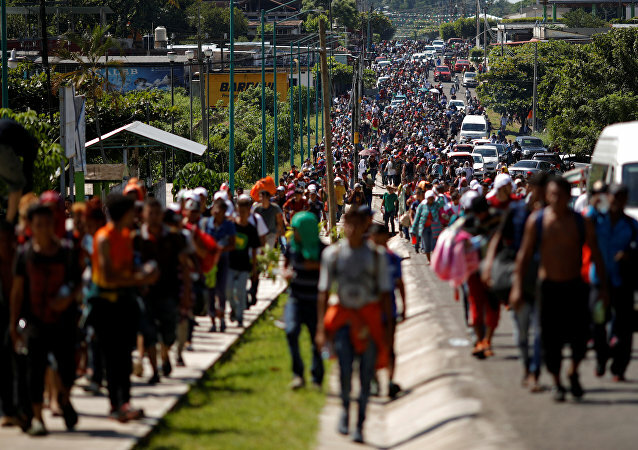 The caravan, which has already swelled to more than 7,500 people, is approaching the US as time ticks down until the nation's November 6 midterm elections.